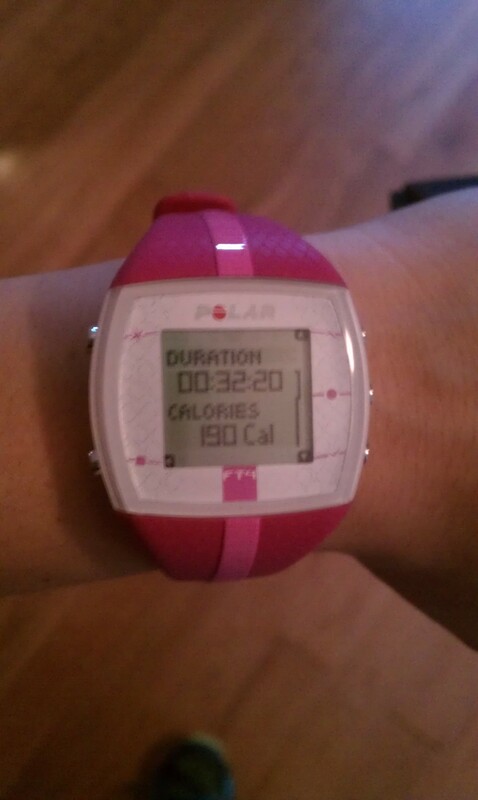 Yup, I am already obsessed with my heart rate monitor. I used it twice already today and it works perfectly. It took a few minutes the first time to get everything going. 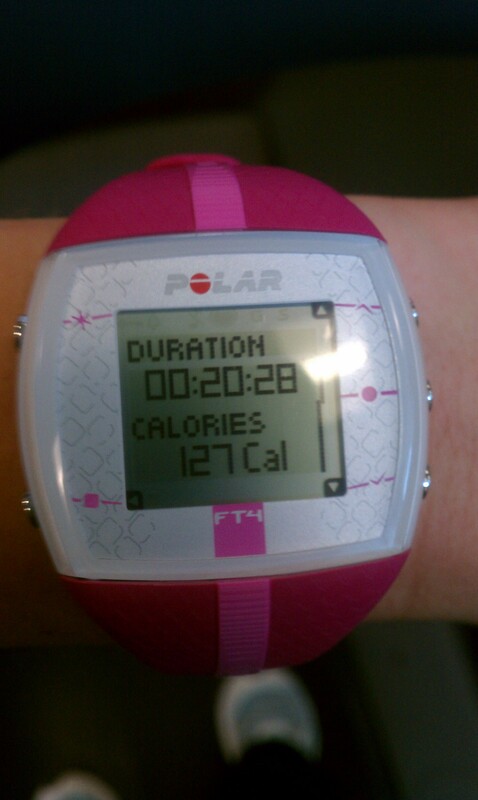 I got up and jumped on the elliptical. It is so nice to have one in my house thanks to my wonderful sister in law. I have a gym at work which is the best thing ever. I have no excuses not to work out. At the gym I did Back and Tris and then went on treadmill for a quick 20 minute interval session. I have lost so much stamina since I have cut down on exercising. It was a crazy day at work today and the last thing I feel like doing is coming home to do homework. I recently got my Masters in Information Technology and now I am going for my MBA. I swear I just need to keep my head busy. I am seriously considering becoming a certified Personal Trainer. Back in the day I was going for a BS in Nutrition but a few things happened and I ended up changing majors. I would still love to finish up that degree. Sometimes I wonder if I am going down the right road. Well either way I know I have some goals to concentrate on. My MBA and maybe become a certified PT. I need these things in my life during this time. They keep me sane during all these medical treatments/procedures. I can’t believe it is going to be August . Tomorrow I look forward to working from home and yoga with my sister! Maybe I should consider vacuuming at some point. There are a few patches of Duncan Hair which could be mistaken for a small dog. Dreading the fact I have to go to work tomorrow…..wish I could just call in. I have no reason to not go in I just like time off! It’s not like I have been too busy this weekend. I think this is the only weekend this summer I actually had no plans. Hubby was a part of a hockey tournament for autism. Guess how many games I went to see? Zero. Am I horrible wife? Probably. I was too busy stuffing my face! These birth control pills have been giving me the hungry horrors. Only a week and a half left till I take my last pill before we start another IVF cycle. Wahooo! Today I started the morning with my first ever Pilates class with mi madre! That was a rough workout for someone who has been putting of any ab work for months! What was I thinking? After Pilates we went to Trader Joes, Whole Foods Market and then home to write my paper that I have been procrastinating about writing. I vow to this blog tomorrow I will start writing down everything I eat again. This is the only way I can stay conscious of what I am eating and keeps me from eating too much! Tomorrow I will update how things went. Actually come to think about it, I do enjoy structure so maybe going back to work tomorrow will be a good thing.